A big thank you to Sharalyn A. Edgeberg for coming up with the name Spring into Writing! Look for your print copy of the booklet in the mail soon! The winner for the booklet is Shelly Hawley-Yan! I’ll be sending you a book as well! Guest List for Spring into Writing! Here is the guest list so far for Spring into Writing! It’s a small list, but I plan it that way so the event will be more relaxing. In the image left to right Kensia Anske’s “The Badlings”; Nancy Vo’s “The Outlaw”; Mason Deaver’s “I Wish You All The Best”; Julie Hedlund’s 12×12 badge. 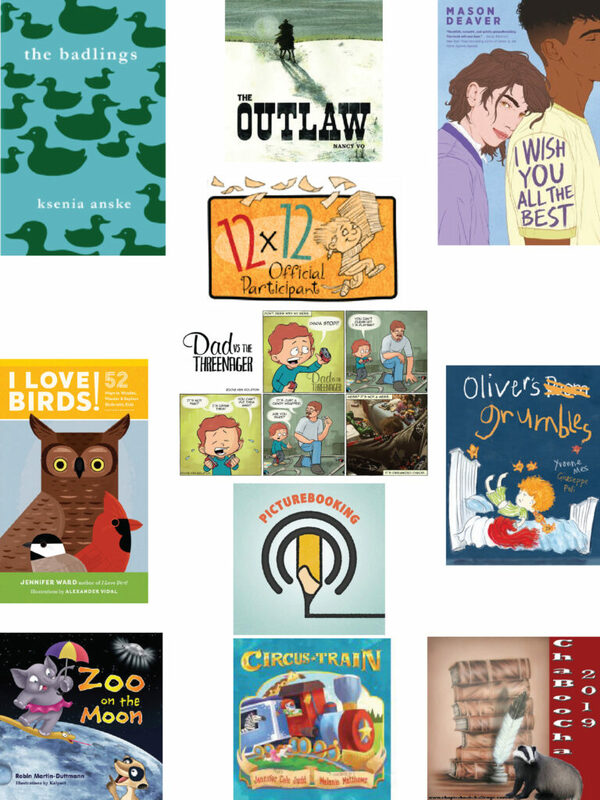 Jennifer Ward’s “I Love Birds”; Ken Rolston’s “Dad vs. the THREENAGER”, Yvonne Mes’ “Oliver’s Grumbles”; Nick Patton’s the “Picturebooking” podcast; Robin Martin’s “Zoo on the Moon”; Jennifer Cole Judd’s “Circus Train” and Becky Fyfe’s Chapterbook Challenge badge. Click on the links above to find out more about each guest! 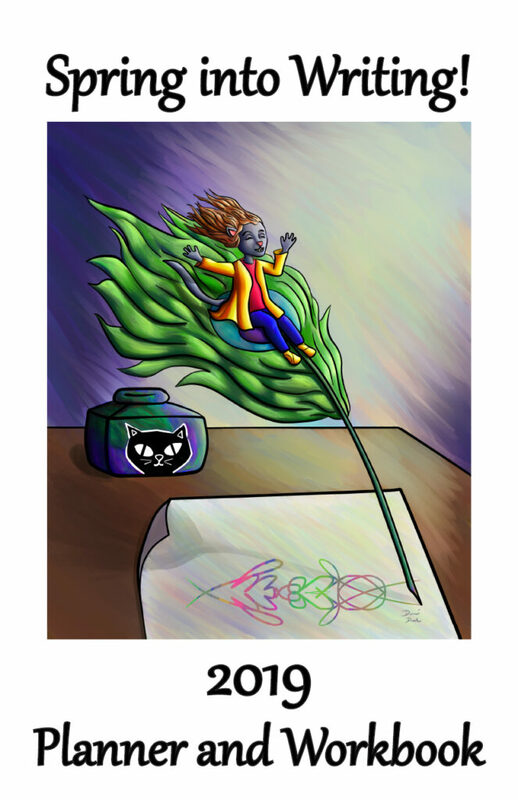 I’m sure that it comes as no surprise that the Writing Challenge name has been changed to “Spring Into Writing!” This title was suggested by Sharalyn A. Edgeberg! Congratulations. 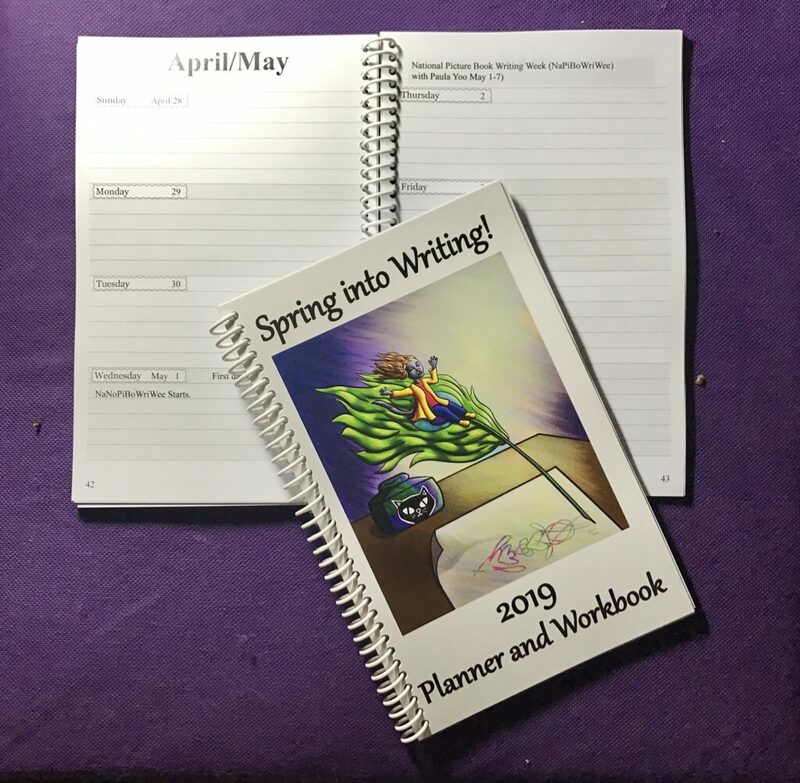 I’ll be sending you a print copy of the Spring Into Writing workbook/planner! Below is an updated cover. It takes about 2 weeks for the booklet to get to people in the states, so please be sure to order early! 3. Smart Dummies Instagram I will be shutting down my Smart Dummies Challenge Instagram account. It’s taking way too much of my time to run it and I don’t think it’s getting to enough people to be useful. I would much rather use my time for other event related things! There will be an advertising contest soon in which you can win a booklet for the event. 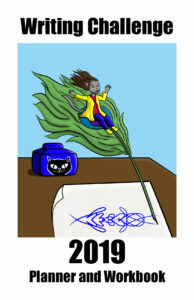 I hope I can get one or two proof readers for the booklet! The goal is to have fun, but wondering if we should have a more specific goal. I believe I have 9-10 guests planned for the event. Please feel free to reach out to me if you want to be a guest. I’m waiting to hear back on a few people and don’t want to send out too many more emails!